Since its creation in 2001, the variety of experiments available in the UTS Remote Laboratory has grown considerably. It now covers more than 12 different experiment types and 40 individual experiments in industrial, civil, computer, electronic and mechanical engineering, as well as science. 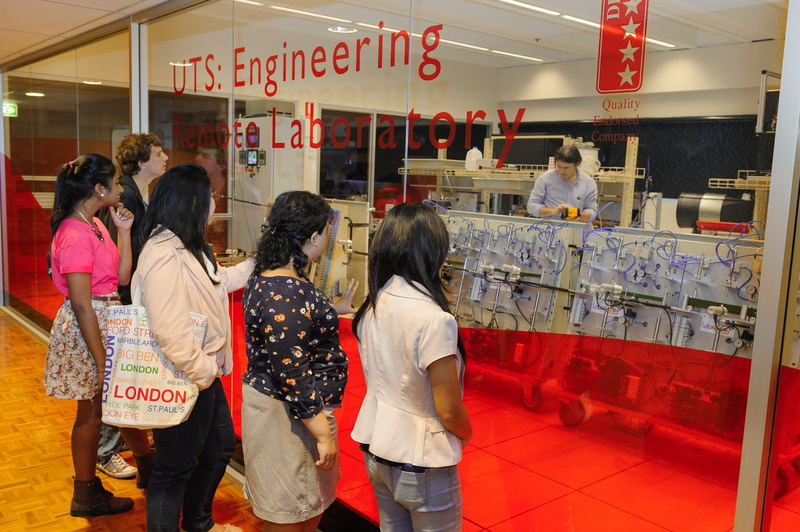 Roughly 1000 UTS students currently visit the UTS Remote Laboratory each semester. Additionally, UTS in recent years has also offered access to over 5,000 students from other universities and high schools across Australia, some living in remote locations. This provides more students with the opportunity to access a wider range of experiments that may not be available locally. By sharing expensive and/or highly specialised equipment online, the UTS Remote Laboratory also allows universities to save on laboratory costs. developing new remotelabs specifically designed for school students. Next, the UTSremotelabs group will focus on remote-area schools due to the potential for remotelabs in resourcing students in these areas. © Copyright UTS - CRICOS Provider No: 00099F - 11 August 2017 07:47 PM. The page is authorised by Deputy Vice-Chancellor and Vice-President (Corporate Services).